Some of the best things can come from a leap of faith. Well, I guess you wouldn’t classify getting a haircut as a leap of faith…but when you cut off 7 inches, well, that’s definitely a jump. I had been growing my hair out for like, 2 years. I never really thought about cutting it until, to be honest, a couple days ago! I always joked around that I would chop it all off, and all my friends and family were always like “NOOOO! Don’t do it Sarah!” LOL, but that didn’t stop my curiosity. Recently, after sitting on Pinterest and looking at adorable haircuts, I thought to myself, “Sarah, you should really cut your hair this time.” Definitely an insane thought, I haven’t had short hair since 5th grade, most of my friends had never seen me with anything other than long wavy hair! But the more I thought of it, the more exciting and adventurous it seemed. I was, at first, a little nervous. I mean, none of my friends seemed too excited about it…should I listen to them?? What about you? Should you? Here’s the truth. What it all comes down to. What do YOU want to do? Do you want to cut all your hair off? Yeah?! THEN DO IT. Take a leap of faith! Don’t let people tear you away from something you dream about! And though, I didn’t exactly dream about getting short hair, the point is, you can do whatever you want to! When you set your mind on 1) your goal, and 2) Jesus, who makes anything possible (note: I didn’t say mostly or almost anything) you don’t need to listen to the voices of everyone else! They are distractions. Now, this isn’t an “Oh my gosh, you said I can do whatever I want to, so now I’m gonna ____” (fill in the blank with something obnoxious and unrealistic). That’s a different story. If, say, I wanted to shave my head and get a tattoo…I do want to listen to the discernment of people that care about me. Be smart. Not rebellious. There’s a difference. Let me encourage you with this. If you are scared what other people will think, if you are holding back because people are saying that you’ll look/feel/be/sound stupid, ignore them! I guarantee you that you won’t look stupid. Because today I did go in and chop off 7 inches of my hair! And I feel great about it! 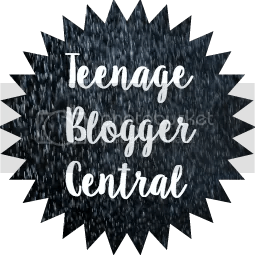 Hiya… really like your Blogs… keep posting! !